Dress like the high roller wearing our printed casino glasses. 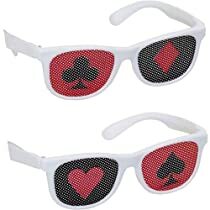 The perfect costume accessory to any game night or casino theme party. © 2019 Premier Casino Games.